Experience the contrasts of New Zealand & Australia covering Mountains, Fjords, Glaciers, thermal geysers, harbors, wildlife, Reef and much more! If you have been waiting to find the perfect bucket list trip for New Zealand & Australia this one covers it all! This exciting itinerary is crafted to flow seamlessly traveling by plane, tour bus and train and chock full of amazing experiences and values. 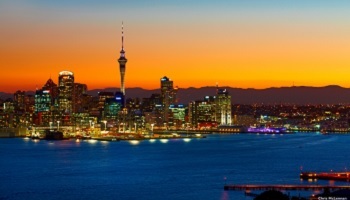 Depart Los Angeles for your overnight flight to Auckland. Consider upgrading to Skycouch, Premium Economy or Business Class with Air New Zealand. Upon arrival in Auckland, connect to your flight to Queenstown. On arrival into Queenstown you will be transferred by Supershuttle to your accommodation. Queenstown, New Zealand, sits on the shores of the South Island’s Lake Wakatipu, set against the dramatic Southern Alps. Renowned for adventure sports, it’s also a base for exploring the region’s vineyards and historic mining towns. Depart Queenstown and travel alongside Lake Wakatipu and then through farming countryside to Te Anau where there will be a short rest stop. 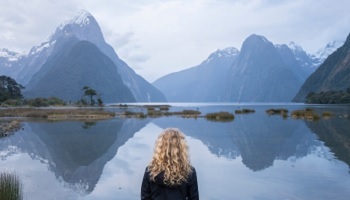 From Te Anau, the overland journey to Milford Sound is a showcase of sheer mountains and towering cliffs, rugged valleys and native rain forest surrounded by teeming waterfalls and glacial lakes. The glass-roof coach offers reclining seats, multi-lingual commentary, additional legroom and are fitted with WIFI and USB ports. Experienced coach drivers tailor each journey to ensure the best photo stops are included for short walks and photo opportunities along the way. On arrival, board a vessel for an extended and leisurely cruise on board a small catamaran with a two hour duration and English only commentary. Cruise the full length of the fiord in comfort on a modern, spacious vessel with comfortable indoor seating and large, tall windows for panoramic viewing of spectacular Milford Sound. With a flexible and relaxed itinerary, enjoy a large and wide open outdoor, upper level deck for excellent wildlife viewing including seals, dolphins and penguins when in season. Tour concludes approximately 12 hours after commencement. Leaving Queenstown, travel by luxury coach through the stunning scenery of the South Island. 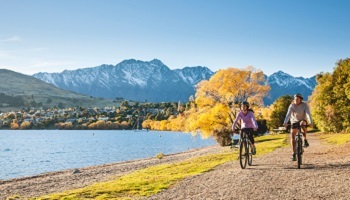 Your driver guide will provide entertaining commentary and point out sites of interest as you pass by the crystal-clear waters of Lake Dunstan, Lake Wanaka and Lake Hawea. After a morning tea break in Makarora on the border of Mount Aspiring World Heritage Park, you'll travel through the Haast Pass, journeying through native beech forest and over the Southern Alps, before emerging on the West Coast. This remote area has a ruggedly beautiful landscape of vast rainforests, gushing waterfalls and snow-capped mountains. Skirt the coast and see waves crashing on rocky beaches before returning inland. Pass tree-fringed lakes and stop at a boutique salmon farm on the Paringa River, before arriving in the afternoon at the small village of Franz Josef. From here you can explore the world famous Franz Josef Glacier. The German explorer Julius von Haast named the Franz Josef Glacier after Emperor Franz Joseph I of Austria. Located in Westland Tai Poutini National Park, it is approximately 12 kilometres (7.5 miles) long. Take in the South Island’s stunning mountains and the vast Canterbury Plains aboard the TranzAlpine. New Zealand’s finest inland rail journey. Along this journey you’ll see epic vistas, travel the edges of the ice-fed Waimakariri River, traverse the Southern Alps, and see miles of native beech forest. The TranzAlpine is one of the world's great train journeys covering 223 kilometres (139 miles) one-way, taking just under 5 hours. You’ll traverse the majestic Canterbury Plains, to the backdrop of the mighty Southern Alps - the journey of a lifetime. 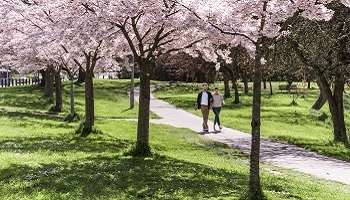 On arrival into Christchurch you will be transferred to your accommodation for your overnight stay. 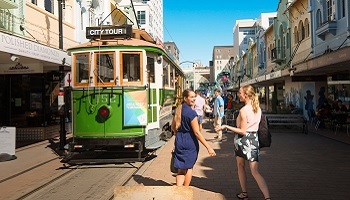 Spend the morning exploring Christchurch, this afternoon transfer to Christchurch Airport for your nonstop flight to Rotorua, on arrival transfer to your accommodation for two nights stay. 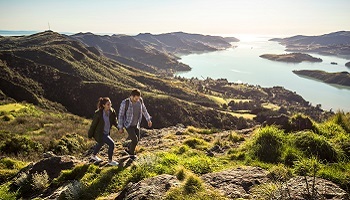 Rotorua is the ancestral home of the Te Arawa people who settled here more than 600 years ago and their presence offers the visitor numerous cultural experiences. Try a hangi feast – cooked in the steaming ground, take a tour of an authentic pre-European Maori village or treat yourself to an indulgent spa therapy. 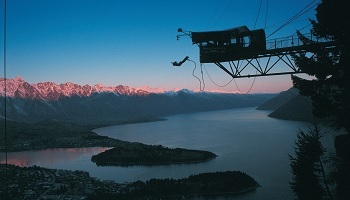 If adventure is your thing, Rotorua has many attractions to get the adrenalin flowing; everything from skydiving and luging to zorbing and one of New Zealand’s best mountain bike circuits. 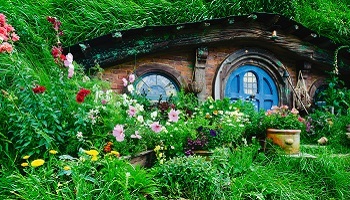 Commence a full day tour from Rotorua to Auckland via Waitomo. Leave Rotorua in the morning and travel through lush farmland, including the intriguing Fitzgerald Glade where the roadside trees arch overhead to form a tunnel of natural greenery. Upon arrival in the small town of Waitomo enjoy a guided tour through the world famous Waitomo Glowworm Caves with their amazing stalactites, stalagmites and other limestone formations. Finish this segment of the tour with a silent boat ride through the Glowworm Grotto - a subterranean cavern lit up by the lights of thousands of tiny glowworms. At the conclusion of the Glowworm Cave tour, take a break at the magnificent Waitomo Caves Visitor Complex. After a stop for lunch, the tour continues on through the beautiful King Country and Waikato regions before arriving in Auckland and transfer to your accommodation for your two nights stay. 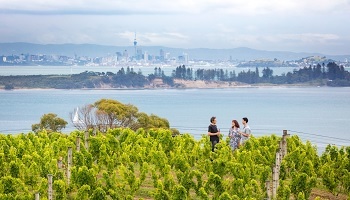 Before saying farewell to New Zealand, enjoy the day in Auckland - explore or relax. Don't think of Auckland as a city, even though it's New Zealand's largest. Think of it as half urban, half marine - a cosmopolitan experience wrapped up in a fascinating water world and surrounded by over 50 islands. 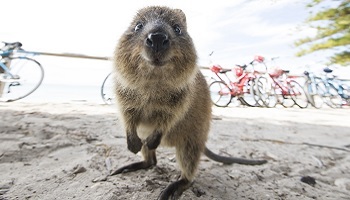 Depart Auckland on your non-stop flight to Perth, Western Australia. On arrival you will be transferred to your hotel for your four nights stay. Join your Two Feet and A Heartbeat Walking Tours at Perth Town Hall, on corner of Barrak and Hay street to commence a 2 Hour Arcades and Laneways Tour. On this tour explore the more than 2.5km of arcades and various lesser known laneways throughout the city. Due to Perth's warm climate, the city centre was built with many arcades to keep shoppers shaded and cool. Through churches, shopping malls and public areas, these arcades and laneways provide interesting routes for locals to navigate through the city centre. Art Deco, ultra modern and even faux-Tudor, these are wonderful parts of the city that you will visit on this tour and learn of their origins and impact on the city. 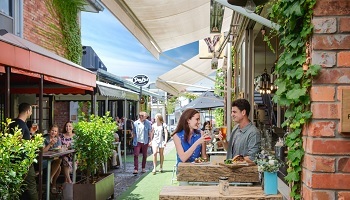 In recent years, some forgotten and under utilized laneways in Perth have been given a new lease on life. Through Government investment, the establishment small bars and cafes, pop-up cultural events and a proliferation of street art, these once ignored places are now hip and happening. It is very easy to spend a couple of leisurely hours exploring these hidden yet bustling/vibrant elements of life in Perth. 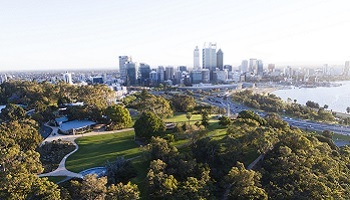 With plenty of opportunities to grab a coffee on the go, have a tasty treat, or find some awesome places to come back to after the tour, your friendly guide will help set you up for an enjoyable adventure through the lesser known parts of Perth. Tour concludes at approximately 4:00pm, in the central city area of Perth. A Luxury Outback Tours vehicle will pick up you from your hotel to commence a full day Pinnacles Tour. First visit is the Pinnacles Desert Discovery Interpretive Centre, then drive into the Pinnacles Desert and travel the four kilometer trail for a unique experience to walk among this stunning phenomenon. 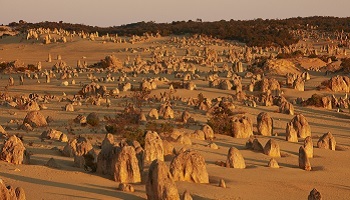 The Pinnacles Desert is made up of thousands of limestone pillars, resembling an ancient ruin. After lunch at Cervantes, visit Thirsty Point to see pristine white beaches and sparkling aquamarine waters of the Indian Ocean. Go for a walk along the beach. Enjoy a visit to Lake Thetis to view Stromatolites, which are one of the earliest forms of life to evolve on our planet another of nature's wonders. Tour returns back to Perth late afternoon. Transfer to Perth airport for your flight to Sydney. On arrival in Sydney shuttle service transfer to your accommodation for your three nights stay. Blessed with a temperate climate, Sydney is Australia’s favorite city with the world’s most beautiful harbour. The harbour provides a playground for jet boating, sailing, swimming, harbor scenic flights, dining, fishing, climbing the Sydney Harbour Bridge and sightseeing at the Sydney Opera House. Explore Sydney at your leisure or consider adding the following discounted sightseeing package at a cost of $280 per person. First stop is Observatory Hill which has a beautiful view of the Harbour and Harbour Bridge from the Gazebo Platform. Learn about the arrival of the first fleet and convicts, and see the historic Rocks area. Drive through the city to view iconic buildings on the way to Mrs Macquarie's Chair with views of the Opera House and Harbour Bridge. Head to famous Bondi Beach for the opportunity to walk from Icebergs Restaurant South Bondi around the Esplanade to North Bondi. Then head to Watsons Bay for views of the city and shimmering water, and South Head. Travel back into the city and cross over the Sydney Harbour Bridge to North Head to view Balmoral Beach and enjoy a leisurely walk. Visit a secret location in Middle Head with amazing panoramic views of all of the Sydney region from North Head to the South including the City. Tour concludes at Taronga Zoo Ferry Wharf with an option of taking the ferry back to Circular Quay or enjoying the rest of the day at Taronga Zoo (entry at own expense). Or re-join your vehicle for transfer back to the city with drop off at Circular Quay or Darling Harbour. 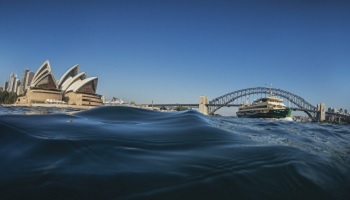 Board your Sensational Sydney Cruises vessel at Circular Quay to commence a morning two hour Harbour Highlights cruise. Enjoy the company of a small group aboard a 52 foot motor yacht. 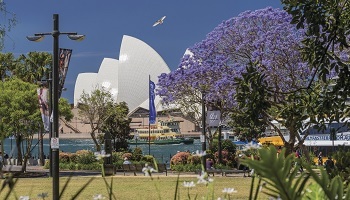 Your captain and host will share the rich history of Sydney Harbour and its foreshore as you take in the sights of the Sydney Harbour Bridge, the Sydney Opera House and the bays and coves of Sydney Harbour. Enjoy a light morning tea with coffee, tea, juice and water. Enjoy a small group tour to the Blue Mountains and see hidden locations and beautiful views of the region. This boutique tour provides an intimate touch, travelling in the luxury of a Mercedes Benz minivan. 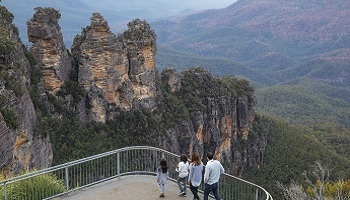 From Echo Point, the closest and best view of the Three Sisters, you will be able to witness the blue haze and the vast expanse of the Jamison Valley and experience for yourself the raw magic the Blue Mountains creates. Take a 1.5 hour hike down the Furber Steps walking track which offers scenic views and waterfalls, to the bottom of the valley. Visit a beautiful waterfall with great photo opportunities at Katoomba Falls Cascade and see breathtaking views of either Jamison Valley or Megalong Valley away from the crowds in a private location. Enjoy a hot filling lunch including a glass of beer, wine or soft drink. After lunch visit Featherdale Wildlife Park to see some of Australia's native wildlife. Your trip to Sydney is not complete without a cruise on the Parramatta River to Sydney Harbour. You will travel under the Harbour Bridge and past the Opera House before disembarking at Circular Quay. 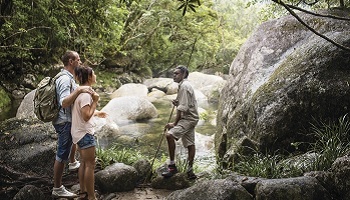 This half day tour includes a transfer to Mossman Gorge Centre where you commence the Dreamtime Gorge Walk. 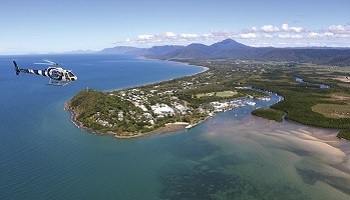 Experience the wonders of the World Heritage-listed Daintree Rainforest and discover pristine waterfalls, mountains and vivid flora and fauna. Your experienced Indigenous guide will demonstrate traditional plant use, identify bush soaps and ochre paints. After your guided walk, spend time browsing through the centre's contemporary Indigenous art gallery, visit the gift shop or relax at the Mayi Café. 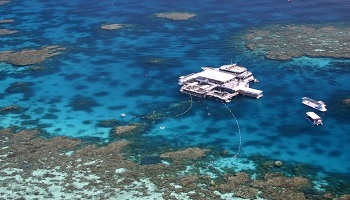 This morning you will be transferred to Cairns airport. Depart Cairns for your flight back to Los Angeles. Package from pricing is based on double occupancy (2 people sharing a room) for travel Monday - Thursday from Los Angeles (addon flights from your local airport available for an additional cost); $60 supplement applies each way for travel on Friday to Sunday. Ask an Aspire consultant for pricing for other travel dates. Add-on fares are available from other cities. Certain blackout dates apply on the accommodation and tour value add offers - check with your Aspire consultant. Seats are limited and may not be available on every flight. Hotels are subject to availability. All prices reflect a discount for purchases made by cash/wire transfer/check, please see terms and conditions for credit card payments. There are no discounts for payment made by credit cards. Cancellation penalties and other restrictions apply.